Astex-Tester Travel has been providing a first class service to personal and corporate customers since May 1st 1987. Having established itself with just one driver / office manager 20 years ago, Astex-Tester has now grown into a well-established and highly respected private hire firm in Sussex with well over a dozen fully insured and licensed drivers under our wing. 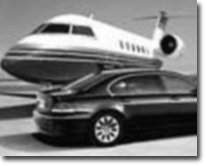 Astex-Tester Travel will ensure that all customers and clients receive a first class service upon arrival or departure. We look forward to being of service and welcoming you as a valued customer. Click here to view our Customer Testimonials. Call us now on 01323 724499 to book your car - 100% reliability and a first class service guaranteed every time.